Reasons behind the 53-year-old divorcee school bus driver’s suspected behavior aren’t known, but personal financial difficulties may have been a motivator. While Campbell built an expensive new custom home for herself in 2017, she was ignoring some $46,000 in personal loans taken out the same year. Non-payment of those debts led to her 62-acre property on Shinbone Ridge Road being scheduled for auction last Tuesday, but that auction was halted at last minute and (per sources) the entire debt was paid off moments before the forced sale would have begun. Overdue property taxes on the same land from 2017 and 2018 were paid the same day. Regardless of reasons behind the suspected embezzlement, these actions bring a sad end to any future aspirations Campbell may have retained for elected public service or political activity. Her reputation and a network of allies and supporters built up over the last decade both appear to have been sacrificed in return for superficial short-term gains. 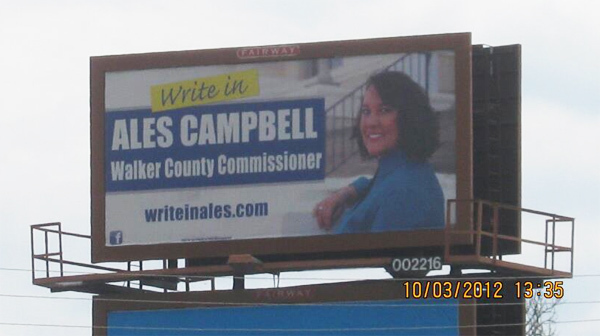 Only seven years ago, Campbell was seen as Walker County’s political future. She was a rising star and a major player, fighting for positive change in county government and involving herself in a number of high-profile campaigns (including one of her own). Until recently she was still considered a front-runner to take a seat on the 2021 Commissioner Board. Ales was one of the earliest outspoken critics of former Commissioner Bebe Heiskell and worked inside Dr. Paul Shaw’s 2012 campaign for commissioner. After Shaw lost the primary that year, Campbell ran her own unsuccessful campaign as a write-in commissioner candidate, a battle so unique it was covered by the Wall Street Journal. For years Ms. Campbell was a reliable Underground source, and her 2012 campaign was endorsed by this blog. But sometime after the 2012 vote she decided it would be more politically or socially advantageous to derail our efforts and endear herself to the county’s politically powerful. Campbell undermined the 2013 Commissioner Board petition with a broken promise to hand-deliver petition results in Atlanta. She then began feeding LU bad information in an effort to either damage our reputation or “out” blog contributors. Old friend Ales also began telling anyone who would listen who she thought LU was supposed to be. In 2015 Campbell was part of a group that drafted Shannon Whitfield to run for County Commissioner. She agreed not to run herself and throw her support behind Whitfield; in return he offered her an appointed committee position in his county government. In other words, she sold out – abandoning values and betraying friends for short-term gain. 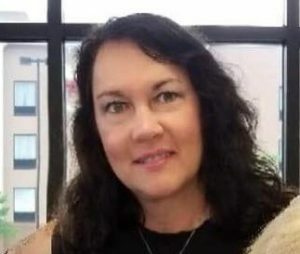 Ales transformed her campaign Facebook group “Our Walker County” into a platform for Shannon Whitfield, actively censoring any content Whitfield objected to or might find problematic. She presented the group as an alternative to this forum, but (in spite of her stated principles) used it to drive local political discussion to new low levels of ignorance and crack-kissing. Campbell’s day job for years has been a school bus driver for Walker County Schools, a position she has certainly put at risk if not lost outright as a result of the charges against her. Campbell has also been an active leader of Walker County Empty Stocking Fund, but so far no reports of unethical money handling within that organization have been reported. Leaders in that group would be well advised to double-check their accounts for the last dozen years or however long Ales has been involved – as would the stakeholders of any other charity, government entity, or business she’s touched. In 2012 Ales managed to fool LU about her intentions and ethics, and no doubt she’s convinced others of her sincerity. But even if accusations of theft somehow prove unfounded, Campbell has revealed herself to be untrustworthy, disloyal, and manipulative – a toxic presence best kept at a distance. We worked with her in 2012, defended her reputation against unverifiable rumors, and even after she had clearly turned against the principles we all (presumably) shared, we gave her a benefit of the doubt. But she took every opportunity she could to throw us under a bus to better herself. She’s probably the most prominent who’s behaved this way, but certainly not the only one. Sad commentary on Walker County. Glad to see y’all back however?? Missed ya!!! I hope you learned your lesson. People are only out for themselves. Keep it free from political bias. Don’t go either way for now on. In otherwords, stay out of the political world and just remain a platform for the community to speak. And a source of honest information about our community. This was a pretty good group and I always found it to be honest. You just got fooled by the two headed snake. Don’t let it happen again. We’d like to think she was motivated, primarily, by legitimate good intentions in 2011, 2012..
Maybe things got hard after that when her family situation went south, and she realized the political network and capitol she was building up were useful in other ways. Or we were completely misled and misjudged her at the time, which could be a possibility. We DID learn some lessons from this, some hard ones, and that’s one reason we were much more careful in vetting candidates during the 2016 campaign and refused to support Shannon Whitfield. We saw some of the same shadiness in him that revealed itself in Ales after time, and also saw who was (figuratively) snuggling up to him before and during that race. We will still occasionally endorse candidates when there’s an appropriate candidate to endorse, but at this point we’re a lot more inclined to just watch and listen instead of say anything. Why does LU have the URL http://www.cityoflafayettega.com/ ? That would make LU part of the City of LaFayette, GA would it not? 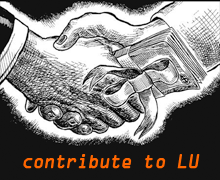 Please explain if you are trying to manipulate the readers of LU.